Why I Just Spent 150,000 Starpoints! Remember Northern Rock? If you had money on deposit at the bank during the summer of 2007, you most certainly do! At the moment, I feel the same way about Starwood Preferred Guest. In this scenario, however, there’s no Treasury or Bank of England to come to the rescue. I have a few too many Starpoints. 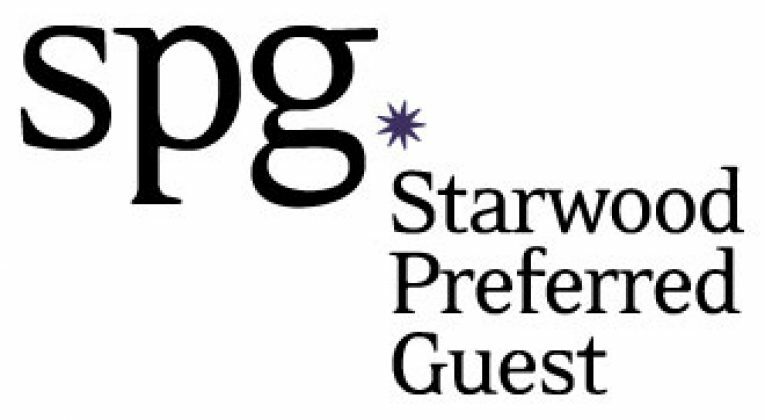 This is clearly a “first world problem”, but I’ve been lax about applying the mantra “earn and burn” to Starwood Preferred Guest because, quite frankly, the company has proven itself worthy of trust. But there is no denying the fact that the central bank managing the “value of Starpoints” also happens to be the owner of the “Bank of Starpoints”. If Marriott decides to change the rules, there is very little that a SPG member can do, other than take their future business elsewhere. But like the depositors in Northern Rock, I’m not worried about depositing my salary into a different bank in the future, I’m worried about the money I’ve got saved already! Joe wrote recently about the rumours circulating around the merger of Marriott Rewards and Starwood Preferred Guest. He didn’t mention another rumour, one that suggests that Starwood Preferred Guest will be stopping direct airline transfers abruptly on 16 April, 2018. I rarely react to unsubstantiated rumour, but this particular one has resonated with me. Why? Well, put yourself in the position of Marriott CEO Arne Sorensen and his leadership team and run through a potential thought process. What Have I Spent My Starpoints On? The key point I want to make is simple. Nobody, and I mean nobody, should rationally expect that the upcoming merger will mean that the sweetest spots of Marriott Rewards and Starwood Preferred Guest will become even sweeter. Marriott Travel Packages are surely not going to cost fewer points or get you more miles. 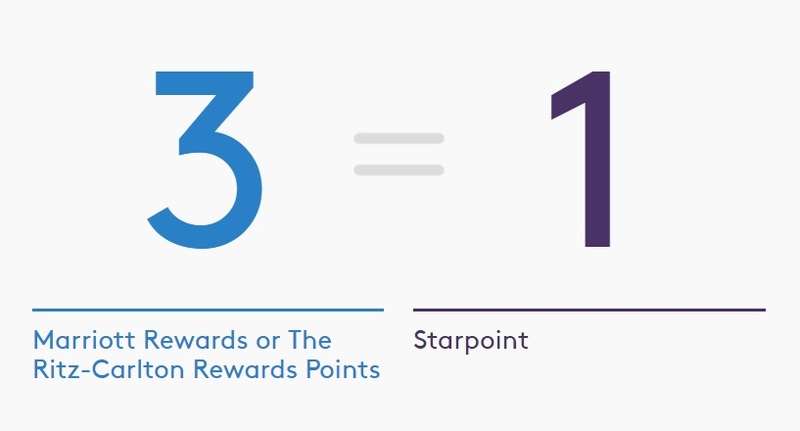 Category 9 Marriott hotels costing 45,000 points / 15,000 Starpoints are not going to reduce to 30,000 points / 10,000 Starpoints. The conversion rate of 20,000 Starpoints = 25,000 airline miles is not going to improve. Etc. etc. I’ve written about this before. You can re-read that post by clicking here. 270,000 Marriott points (90,000 Starpoints) becomes 120,000 Alaska miles and a week at a Category 1-5 hotel. I don’t desperately need more Alaska miles, but I have long been contemplating a Travel Package top-up and Alaska miles are the highest value option for me, even when compared to bonus point promotions such as this recent one from Avios. I don’t have to decide on the hotel stay, as I received a certificate valid for one year; this certificate can usually be extended for a second year. Rather than wait and hope to avoid bad news, I simply decided to book the Travel Package now. I might even get lucky and some of my favourite SPG hotels might find themselves as Category 5 hotels in the “new” Marriott Rewards in early 2019. This has been written about before on InsideFlyer UK as well – click here. Although this deal is probably not quite as good as a Marriott Travel Package, you can receive 5 nights at a SPG Category 3 hotel + 50,000 airline miles for 60,000 Starpoints. The key element to consider is the wide selection of airline transfer partners. I could have simply converted 40,000 Starpoints into those same 50,000 miles, but essentially I am spending another 20,000 Starpoints for 5 nights at a Category 3 hotel. Compared to the regular price of 28,000 Starpoints that’s a 29% discount. And even if the worst news is confirmed about elite status for 2019 and beyond, well that’s just more reason to squeeze a 5-night SPG stay into 2018 to burn some more points whilst I’m still a full Platinum member. I very much hope that nothing bad happens next week. But I decided not to wait, and outlined what I believe to be the two best reward options available from Marriott Rewards and Starwood Preferred Guest. What do you think? Overkill? Or wise risk mitigation? I haven’t shifted a single Starpoint yet, though managing risk does depend to a large extent on just how high your balance is – if I had half a million or something like that, I would have moved some. I’ll try to respond with my reasoning in an article a little later… (and yes, I can already feel the egg sliding toward my face). Normally I wouldn’t be jittery but I had bought 40k starpoints at 35% discount. I was not expecting changes until Jan 2019 as initially suggested. Anyway, so that’s the problem. If I had all free points, I wouldn’t bother. Unfortunately I’m sitting on 80k points. 40 of which are paid. I have redeemed a lot of Marriott points to a Ritz redemption for NYC. 5 nights. Didn’t want to stay there for 7 nights to get the air package (would transfer starpoints to Marriott for that). Now can I change that booking to convert it to a 7 night package? Or I can’t? In time before 16th?. Anyway, otherwise I shall just wait. I’m sure some sweet spot expensive redemption will be there – hotel wise. We usually travel 3 of us in J. So miles are not as useful because getting 3 J award tickets need a lot of miles and availability is also scarce is booking in advance. So while Alaska is tempting, I don’t know what to do. Any help would be useful, though considering the rumours, I gather there is little else that one can do apart from the above. If you find value in using Marriott or SPG points on hotel stays, then there’s nothing to fear. There will be some winners and some losers from a combined reward chart, but you should have lots of advance warning. I was just addressing those readers who, like me, find much of the value of Starpoints from the flexible airline transfer options. If that went away suddenly, my personal situation is such that I wouldn’t want to find myself with 200k Starpoints AND the rumours confirmed of 75 nights for elite status benefits! Can’t see why Marriott would want to pull the pin on the spg airline transfers. The selling of discounted starpoints must be a huge money spinner for spg. They must be sitting on millions of $ worth of funds on their balance sheet of unredeemed starpoints. Why would they want to stop this area of their business? They would do a lot of damage to their credibility just wiping the value of spg points to the many frequent flyers that buy starpoints. That is the most compelling argument in my view – that SPG makes a profit between the revenue from selling Starpoints and the cost of buying airline miles. They aren’t just making money on the selling of starpoints and buying airline miles. They are also making huge returns on investing the capital and getting a return on unredeemed starpoints. They basically have the use of your money until you choose to move the starpoints to an airline program. For all we know they may be using those funds to fund the operations of SPG. Have you read through the financial statements? I don’t have the inclination at the moment, but I doubt that SPG are selling billions of dollars in points, which is what would be needed to have enough of a “float” to make investment returns even in the tens of millions and that’s assuming that Starwood had somebody Warren Buffett-esque managing the funds well. But I do agree with the general notion that companies don’t want their members to be in a rush to redeem. That’s the issue with Aimia / Aeroplan in Canada. Since the Air Canada connection will die in 2020, the share price has crashed since the stock market is worried that people will rush to redeem their miles and not bother to earn any more. I too am concerned for the short term future of SPG since I also bought into the last 35% sale… Got 31K of SPG points ready to go but I’m worried that I might end up moving them out too hastily (before marriott ruins them) and end up with transferrable point remorse (in wishing that I’d sent them somewhere else). For now I’m leaving them alone but if Marriott makes any faux-pas I’m moving my SPG out ASAP. All the bloggers seem to love Alaska as a place to transfer points to, but is the availability really there? I’ve seen comments elsewhere that availability is becoming increasingly hard to find. I’m going to buy a TP before the week’s out but at the moment I’m minded to choose the 85K ANA option over 120K on AS. The fact that *A is my program also makes me lean towards ANA. PS: If there are any good Inside Flyer articles on ANA sweet spots ex-EU you’re welcome to point me towards them! On second thoughts I think I might choose SQ instead of ANA. Just realised that ANA is NOT an Amex MR transfer partner and the SPG transfer option is going to disappear fairly soon, so that means there’s no way to protect against hard expiry. I too have been eyeing up an SQ Krisflyer redemption on Star Alliance partner Ethiopian airlines. 27,500 SQ miles to fly from Dublin to Cape Town South Africa for just €11 in taxes and fees, no fuel surcharges and bookable online looks like a good deal IMO ?? This is why I’ve topped up to a precise amount. If SPG transfers go, then I’ll have to abandon ANA due to the hard expiry issue. But almost everywhere is a sweetspot with ANA ex-EU. The only problem is that you need to book return rewards so it’s probably best suited for solo travellers. Admittedly, I haven’t looked in the last couple of weeks, but yeah availability is (generally) ok to pretty good, I’d say. I really like KrisFlyer too, but the hard expiry is annoying and I recently came unstuck by the 4 hour max layover for connections in North America (it’s ~23 everywhere else, like most other programmes). Joe, do MP miles have hard expiry like KF? Honestly had no idea about the layover restriction but North America is not a place I normally travel to. Nope, MileagePlus is expiry after 18 months without activity – but earning, redeeming, buying or transferring all count as activity, so it’s not a problem at all as long as keep half an eye on it.